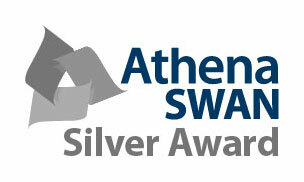 Lancaster University's Department of Physics has been awarded an Athena SWAN Silver award, recognising its commitment to encouraging women in science and technology careers. There were 125 award submissions for this year's awards, which will be presented on July 10 at Durham University. The Athena SWAN scheme rewards success in developing employment practices to further and support the careers of women in science, technology, engineering, maths and medicine (STEMM) departments in academia. This latest success for Lancaster University follows an earlier bronze award for the Lancaster Environment Centre. Meanwhile, the Department of Physics won Juno Champion status from the Institute of Physics in 2013.
the IOP's Project Juno aims to address the problem of the very low proportion of women in physics, especially in higher academic posts - just one in five undergraduates and lecturers and one in 25 physics professors in the UK are women. Lancaster is working with the University of Oxford on a £5.2m project which aims to design and develop the world’s most efficient thermoelectric material. Lancaster Physics on BBC News: Scientists have discovered a way to authenticate or identify any object by generating an unbreakable ID based on atoms.